This program applies to all regular employees. 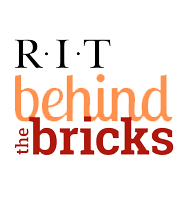 All regular employees are eligible for the RIT's Employee Assistance Program (EAP). The employee's spouse/partner and eligible children are also covered under the EAP. For a short summary of each of these areas of service, refer to the one-page flyer; for a more detailed summary, refer to the Summary Plan Description. Managers, with approval from Human Resources, may recommend an employee’s participation in the EAP to address unacceptable employee performance or behavior. Managers should contact their Human Resources Services Manager for additional information.